I am having a heck of a time trying to find a new everyday tote bag for work. I have one of those jobs where I carry a computer home each day, along with a notebook and other items that do not fit in my usual purse, and have blown through several bags that looked nice but were not meant to carry a crappy Dell laptop and workout clothes. I'm currently schlepping a large jute tote bag around, but don't like that it is so casual. My quest is made much harder by my budget, which rules out $300+ bags of any kind. Even if I'll carry it for years, the amount of abuse this bag will get means a high price is not in the cards. I'm just too practical. That said, here are some options that meet my criteria of being chic, not overly embellished, with straps that can go over my shoulder, and enough structure to keep its shape despite carrying a laptop. I would love some opinions! I'll start with my dream bag - the Tropezienne tote by Claire Vivier, with 8" handle drop. It's pricey, but so perfect! 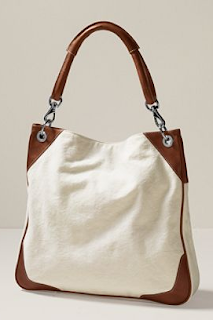 Also, the gorgeous Jericho tote by J.Crew remains in the running despite the price. But I don't think I could bear to throw this on the floor under my desk. 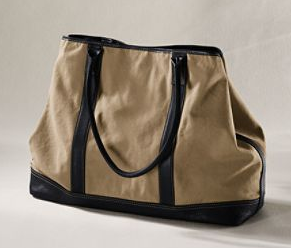 I am also not opposed to canvas entirely, and this tote by Lands End Canvas will probably be marked down in the coming months and looks quite sturdy. I also like the second one, but it won't hold as much. What option do you think would be the most versatile for daily office commuting? Where else should I be looking? I would love something with a bit more pizazz, but I don't want patterned canvas or pvc that won't last. And once the price goes over $200, the less likely I will be to buy. This is hard! 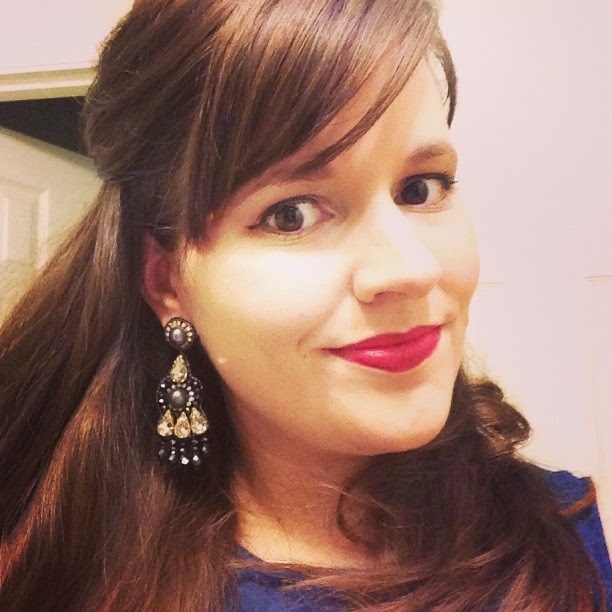 **Update: Although I still have a post scheduled to go up tomorrow, I will be leaving town for a funeral and unable to blog for a little while. Please excuse my lack of posts and comments on your blogs for a few days, and keep my family in your prayers. 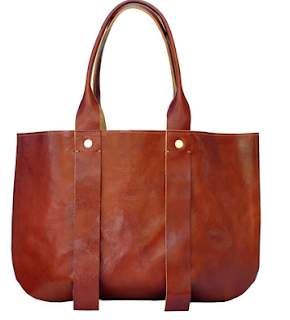 I love that Jerico tote. Have been drooling over it for months. I'll be thinking of you. Hang in there. You're right, that J. Crew one is lovely! You'll be in our thoughts while you're away! I'd recommend this tote from Land's End. What I love about Land's End merchandise that if it ever breaks or falls apart they will refund your $$, even if it's years later and you don't have a receipt. I have a tote from them that I abuse regularly and it's held up beautifully. Have you tried Polyvore or Ebags? i like the first one a lot. so sorry about the funeral. praying for your fam! Sorry to hear about your family's loss. What about a Thirty One Bag? I have the organizing tote and the Cindy Tote. Both have been pretty sturdy and definitely fit all of my stuff. I love the Jerico tote! I love the Jcrew bag but I can see your price hesitation! I am sorry you have to leave for a funeral, Ill keep your family in my thoughts! 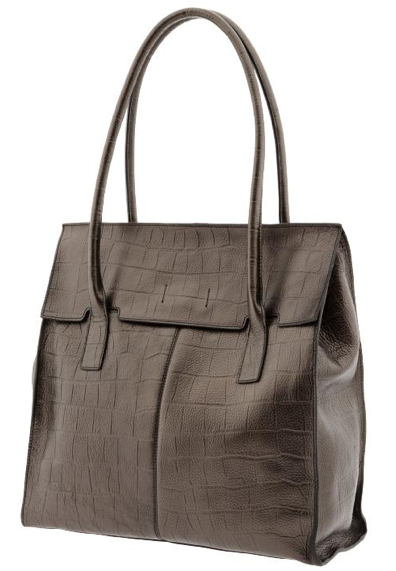 The Claire Vivier is my fav...looks like the perfect work tote !! First of all I'm sorry for your loss and will keep your family in my prayers. I have the same issue and just ruined one of my favorite bags because it wasn't sturdy enough to hold all my stuff. :( I like the j crew one and the first lands end one. I have two totes from the gap that I got on sale for around $20 or $30. Haven't seen them online but maybe they still have some in stores. Good luck! I like the Banana one the best. I am so sorry for your loss. My condolences to you and your family during this tough time. 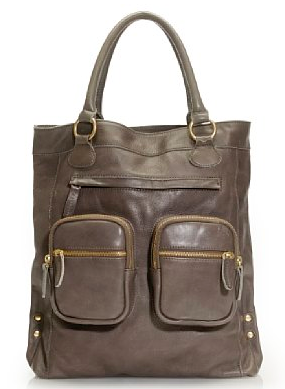 I found the same problem with work totes and eventually found this beautiful leather tote from ll Bean for $160 (http://www.llbean.com/llb/shop/38451?feat=677-GN1). That Clare Vivier is so perfect in every way. I've been yearning for something new for work as well, but haven't found anything quite perfect enough yet. Not sure if you've seen this, but I saw it and thought of you.